We have already seen a torture test video for the new iPhone X and now we have a drop test video for the handset. Apple’s new iPhone comes with a glass front and back and Apple says this is the toughest glass they have used on an iPhone. In the video below we get to see both the iPhone X and the iPhone 8 in a number of drop tests from various heights. As we can see from the video the iPhone the handsets appear to be OK from they are dropped from waist height, the iPhone 8 glass broke from head height and the iPhone X did not. 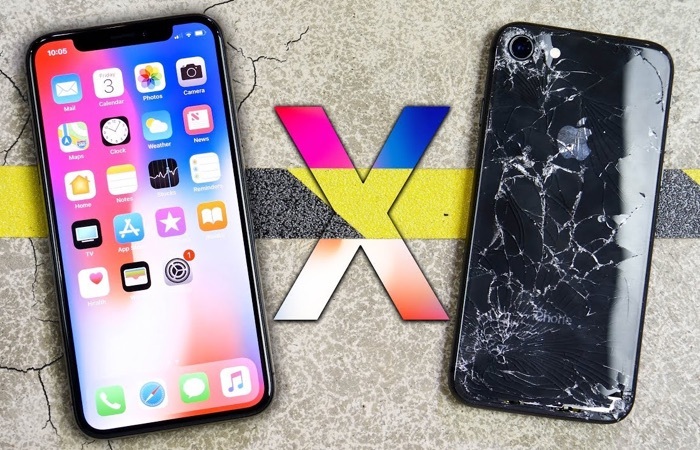 It looks like the new iPhone X is more durable than the iPhone 8. Whilst the glass on the iPhone did not break, the Face ID stopped working, so it looks like the handset did suffer some significant damage after all, although there was not major external cosmetic damage. Apple charges quite a bit more to repair the new iPhone over previous models. A screen replacement will cost you $279 and any other repairs will cost $549. This means if you break the glass back on the handset it is going to cost $549 to repair.